Home | MoM answers | Tips to transition from bottle to cup – which cup to use? Tips to transition from bottle to cup – which cup to use? I am transitioning from bottle to cup and tried the take n toss brand but it let in so much air my little one was in so much discomfort. What is a good cup to use? Jabelle it depends how old you baby is when you dispose of the bottles whether or not it is wise to swap straight to a cup. For a little one who still needs drinks in warm weather, or long long trips and there is nowhere safe to pull off the road a leakproof container is a better option. You do not want wet upholstery that you may notice straight away. you can end up with a very smelly car, or an ant farm if the drink has any sugar in it at all. 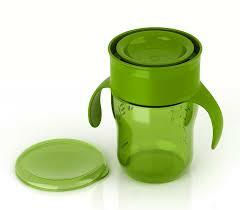 If a baby/toddler is too young there is more risk of the cup being dropped. I have yet to see one that can be held and gripped the same as a bottle. We got the baby pack from Tupperware. There’s a cup that can be changed from handles/ no handles. Sippy cup, drip cup and then normal cup. It’s great for them to learn from. 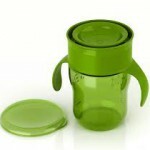 Swich to a leakproof sippy cup with handles, then to one without handles……..especially if they have drinks in the car. Our youngest one started to ask to have the lid taken off when he was ready to change at 27 months then gradually gave up the lid of his own accord. Make sure they either sit or stand still while drinking them. It may not be the way for you, but we don’t wean as such when transitioning from anything much. In this instance we would get rid of all the bottles in the house. Explain to little one that they are now big enough to be able to use a cup. replace bottle switch cups. Don’t give them too many options.